Hey there, i had a old C1 pot helmet for awhile now and i don't really like how it looks with just the Woodlands cover so im adding some scrim to it. But i wanted to get so help from you guys here, what did you add to your helmets to break it up? i heard that some people tore up their Garrison Tunic and used that? also how should the strips be? Find a helmet net, add some scrim by adding different coloured burlap strips. You beat me to it recceboy. I was going to say the exact same thing with burlap strips! I had used a piece of old cam net on my old steel pot. In all my years in the Infantry I think I can say that there is no set standard for what went on a helmet in the way of scrim. 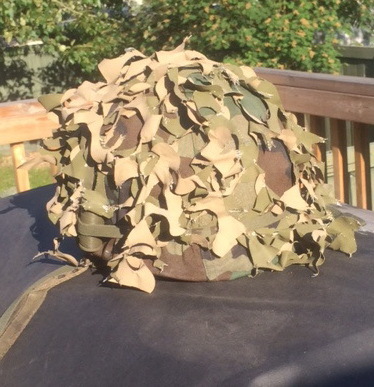 The Woodland helmet cover had two rows of slits around the circumference of the helmet for sticking foliage in, along with under the elastic helmet band. This was not conducive to scrim, so enterprising soldiers used various netting over the helmet cover to which they then could apply all manner of material. I myself have used the earlier netting (cotton cord knitted into netting with about 8 to 10 cm squares). I have also used cut up pieces of the newer vehicle cam net (nylon thread braided into a net with squares about 40 to 50 cm and coated with vinyl to which was fused vinyl sheeting that was OD on one side and black on the other and cut in random semi-circles to create a multicolour surface on either side). To the criss-cross threads of either type of netting was tied various strips of burlap as mentioned above. We usually used the tan hessian available from CQ stores cut into strips, or cut-up sandbags. 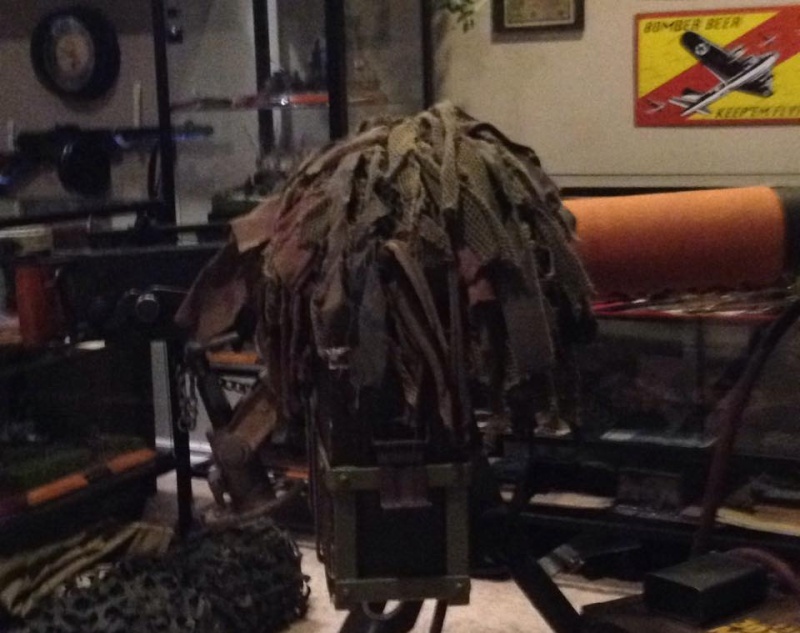 I believe the multicoloured hessian strips were reserved for the Recce Platoon's Snipers. 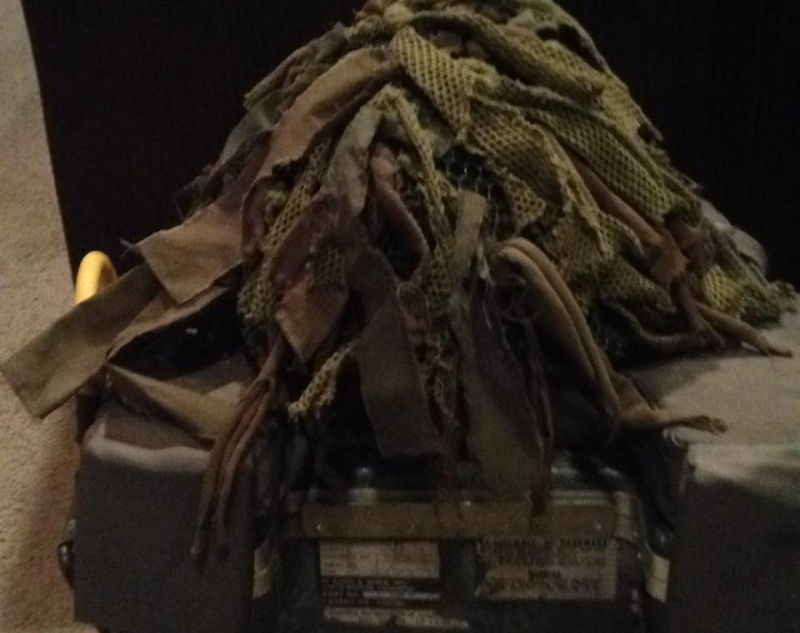 i have also used cut up combat scarf and even an old CF Green scarf. However, I have never heard of someone using Garrison jacket material. That's not to say it was never done...I'm just saying I've never heard of it. So, I guess what I'm trying to say is that you won't be wrong, as long you don't go overboard....don't have you helmet look like a wig with bits of scrim covering every inch of the helmet. Send a pic of the finished product so we can comment, please. Best of luck. Here is my helmet from back in the day, the helmet really was the only item you could personalize from the kit you were issued. Its up to you how you want it to look and what era your are aiming for. 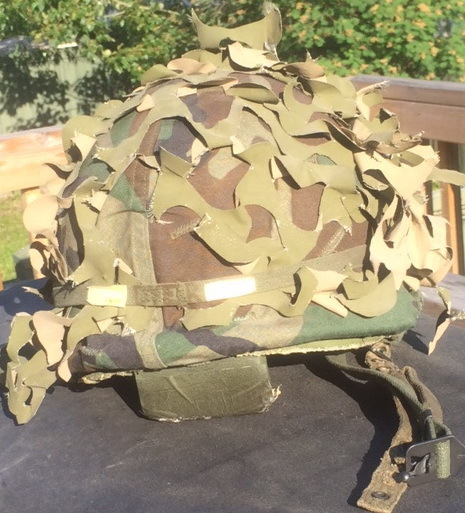 Early steel pots in the 70's had really no individual changes, just the Mitchell pattern (Nam pattern) helmet cover. 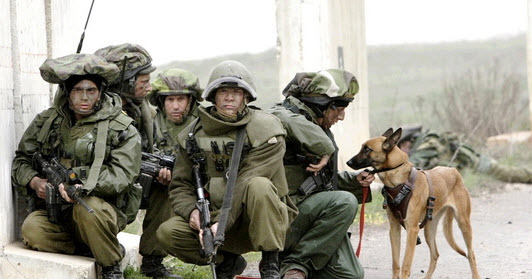 Just don't go overboard like the Israelis, even the dog is thinking, WTF is that on your head. Actually, the Israelis have it right. It's not about looking cool, it's about disguising the familiar silhouette of the human head which is the real purpose of scrim on a helmet in the first place. I used to use the old nets from the mk2 helmet, but for the average non-collector type, they often cut up the issue laundry bags and made nets out of those. While cut up sandbags or the bulk hessian were the major ingredients of the cam, as mentioned before just about anything could be added. Things like string, or short pieces of hemp rope were even added. When I was with 1RCHA in Shilo, we even had to put winter scrim on our helmets in the winter for a time. Now that looked ridiculous...like a bunch of sasquatch moving across the snow. Worked on it for a couple of day and here's what I came up with. how does that look? I'm more interested in the Vickers gun! But the helmet looks good, how heavy is it compared to no camo. Not bad at all. Personally, I would take off about a third, but that's just me. As mentioned before, the purpose of scrim is to break up the outline of the the old pot sittin' on top of the old melon! Most Company Sergeants Major I knew wouldn't bust your hump over this.